I pride myself on being able to make a living on the road. I’ve tried a lot of random things to afford this life of travel. I know some things aren’t for everyone. I for one, am not cut out for fruit picking. Tried it, wasn’t for me. At least now I know. 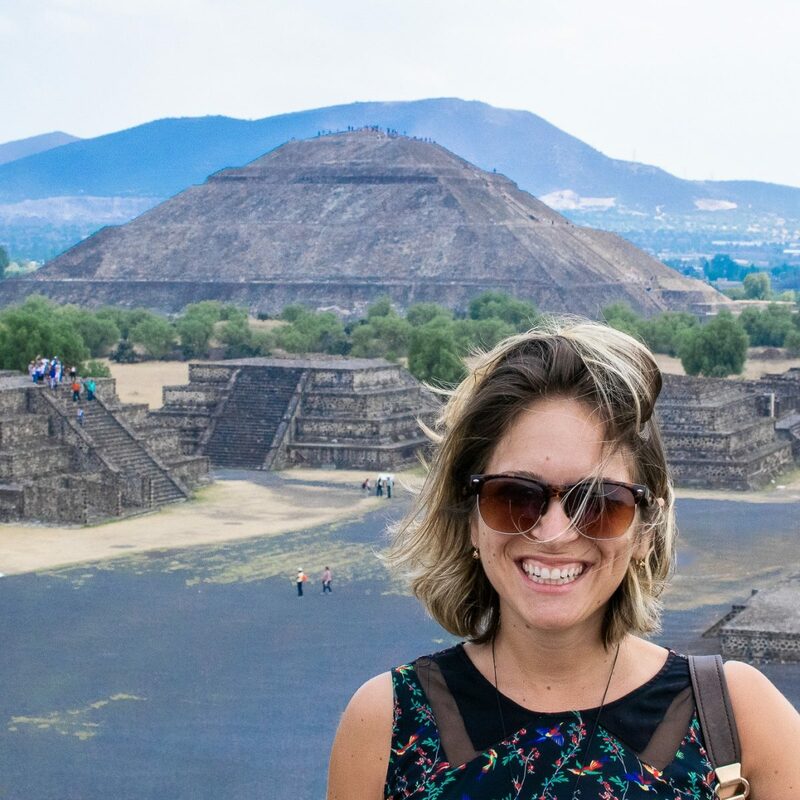 There are however, a lot of other ways to make money throughout your travels around the world that don’t require selling your soul (or something illegal!). This list isn’t exhaustive of course. These are just the many ways that I have earned money around the world and continue to do so. A few are ones that I haven’t actually tried first hand, but have looked into or know someone who has actually done it. If you have any other suggestions I would love to hear them in the comments! This is my number one favorite way to travel around different countries and make some money along the way. I give a full description of working holiday visas and how to get them in this post. It’s basically a way to legally work in different countries. It means you can pick up full or part time jobs, save a bit of money, then head off to travel some more. I did a working holiday visa in New Zealand and then again in Australia. I lived and worked in Christchurch, Melbourne and Sydney saving up thousands of dollars to take with me around both countries for exploring. You’ll need it, too. Australia and New Zealand are some of the most expensive countries I’ve ever traveled! 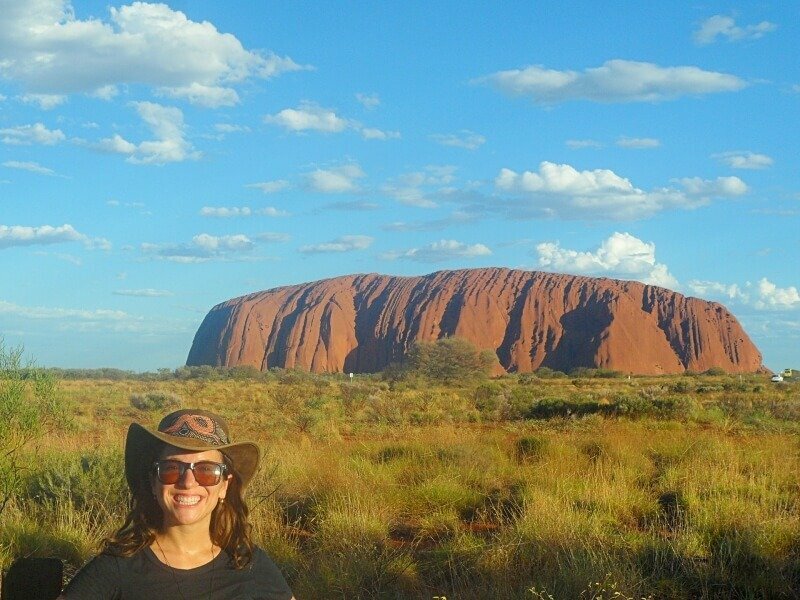 Exploring Australia on my working holiday visa! Obviously this one isn’t a quick fix. 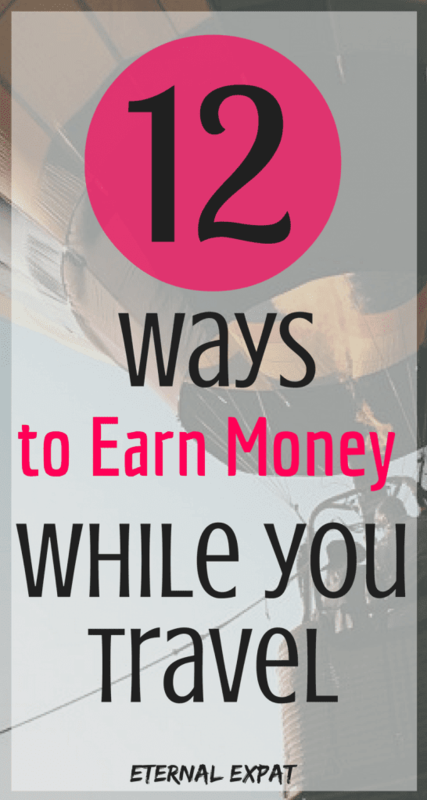 If you’re looking to start earning money RIGHT NOW, blogging isn’t the thing to do it. But if you want to start a blog and in a few months (or more), start earning an income from it, you should. I earn a bit of money directly from my blog and I’ve been running this baby for about eight months. You can see how I make money in my income report posts. It’s also a great way to earn travel perks while you’re on the road. I’ve worked with tour companies, hotels, restaurants, and car rental companies. It’s definitely allowed me to travel longer and in some cases, better, than I would have if I was spending directly out of my own pocket. 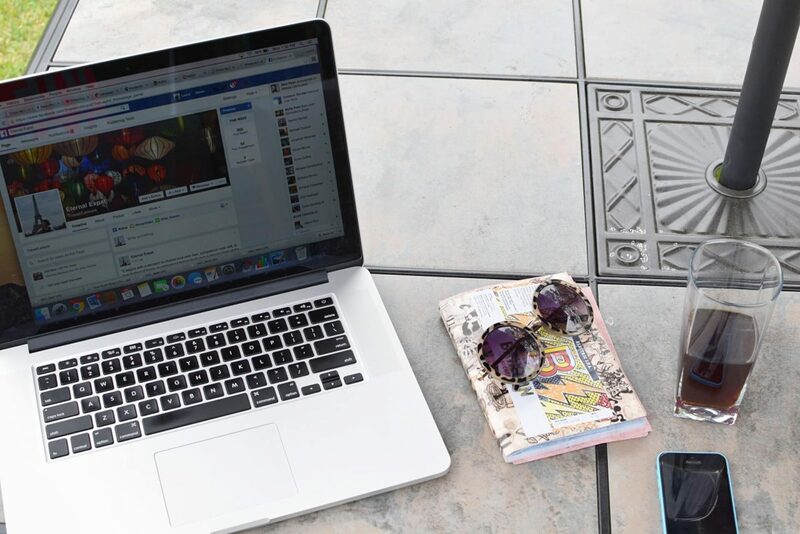 If you want to know more you can check out my post about how to start a successful blog. Teaching English is something that you can do in SO MANY countries around the world. I did it in Korea and although I’m not sure I’ll be doing it again anytime soon, it was an incredible experience. It gave me the opportunity to live in a country I probably never would have even visited otherwise. It also allowed me to save over $15,000 that I then used to travel the world with for over a year. Many countries, Korea included, require that you come from an English speaking country and have a university degree. There are a few places, like Taiwan or Vietnam, where that’s not the case. You’ll also have to get yourself a TEFL – a requirement in almost every country. I recommend myTEFL to people. It’s the course I took and if you use my code, 35ETERN, you’ll get 35% off all your courses. You can read more about how to get a job teaching English in Korea in this post. 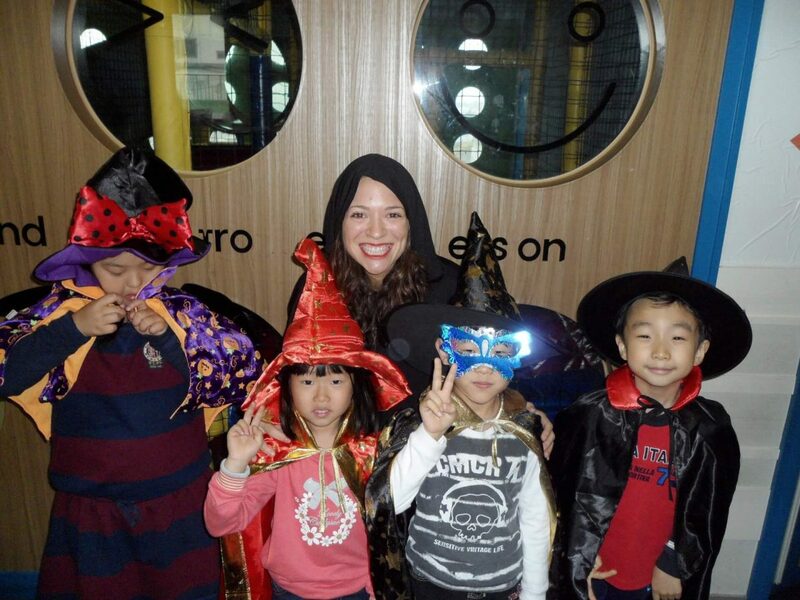 Being a Halloweeny with some of my students in Korea. I have been tempted to get my yoga teaching certification now for a bit over a year. If you are certified to teach yoga, there are SO many opportunities to do so abroad. Plus what an amazing experience to share your yoga practice with people all across the globe! There’s a great website called Yogatrade that has job postings from yoga studios all over the world. While most are looking for yoga teachers, some are looking for people to work at the front desk or help do some repairs around the studios. There are often jobs looking for chefs (especially vegan ones) at retreat centers in exotic places like Costa Rica or Nicaragua. I even found one once looking for a social media expert! Don’t want to teach English or Yoga? That’s cool, there are a few websites where you can teach something that you know lots about. The two that come straight to mind for me are Udemy and TakeLessons. Udemy is a website where you can create courses in absolute ANYTHING. Seriously. I’ve taken one in SEO, but I’ve seen things on there like, “How to Put on Makeup” and “How to have a minimalist wardrobe.” This can be a great way to earn money while you’re on the road because once you create the course, the income will be mostly passive (meaning you can earn money while your SLEEPING). If you’d rather do some one-on-one teaching, TakeLessons would be more up your street. On TakeLessons you create a teacher profile and when people are searching for a teacher in your field, they’ll be able to get in touch. This is great for people who are great music teachers or if you’re bilingual to teach another language! My favorite website to use for work exchange is Helpx. I used it all over New Zealand to travel on the cheap. The way work exchanges go is that you work for someone for a few hours a day and in return you get free food and accommodation. The reason I love Helpx so much is that there are job opportunities on there that have nothing to do with farming or manual labor. 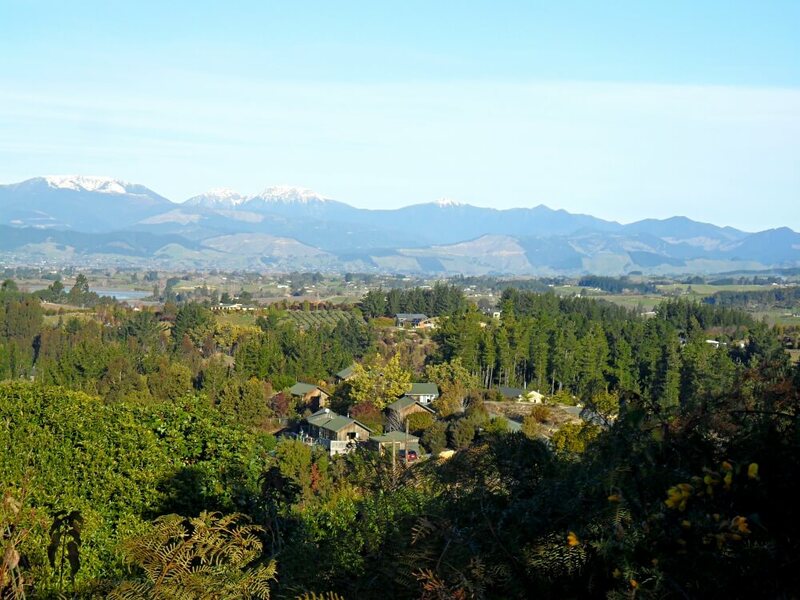 During the five months I spent doing work exchanges in New Zealand, I worked for a family doing their gardening, I worked for a retired couple helping fix up their summer cottage during winter, I painted bookshelves, and I ran a hotel while the owners went on vacation. Most days I worked about 4 hours. The reason I put this on here is because some places will actually pay you. One of the jobs I took gave me free accommodation plus $100 a week. I ended up spending most of the money on groceries, as it was intended for, but I got to use it to buy whatever I wanted. I used it to go to the local pub on weekends, I used it to pay for gas for excursions we took, and I used it to eat out every now and again. The view from one of the houses we lived in while we did a work exchange. Not too shabby! This is such a broad answer. This can literally include anything from social media managing to writing, editing, photography, translating, web design, or graphic design. If there’s something that you’re good at, you can sell your skills on the internet. I usually head to one of two sites to find freelancers to hire: Upwork and Fiverr. Both websites allow you to set up profiles and search for freelance work around the world. While you might not be making tons at first, it’s a great place to start and you can earn a good bit of money that will keep you on the road longer. Ever been to a hostel where people sell freshly baked cookies at the front desk? These are easy ways to make a few extra bucks while you’re traveling. It costs almost nothing to buy ingredients to bake something and by the end of the day you’ll have beer money for the rest of the week. I used to think it was a bit lame, but I almost always end up buying one because, um, freshly baked cookies. Maybe your cooking is better than your baking? Offer to cook a few people at the hostel dinner for a fee. Be sure the fee covers the cost of the food and still leaves you money left over. I’ve seen people ask the hostel if they can do meal nights and the hostel happily tells it’s guests about the event. It’s a nice way to socialize and make a few extra bucks doing it! This is something I only recently started doing and I kick myself. I wish I’d been doing these easy little things while I was traveling to keep a bit of extra coin in my pocket. Websites like Swagbucks, Usertesting, and Inboxdollars allow you to take quick surveys or do reviews of websites and earn money on the side! I’ve earned about $50 a month by doing these sporadically (maybe once or twice a week). I know some people that literally earn hundreds of dollars a month doing these things! Just an FYI, you’ll likely need to use a VPN to access them when outside your home country. I love working outside whenever I can! This upsets some people, because they feel like they’re just asking for money, but a Patreon page is basically a place where you create content for “members.” In return, these members give you a bit of money every month. A few Youtubers I follow have Patreon pages (like Psycho Traveller). There are artists on there, singers, musicians, bloggers, videographers and travelers who are sharing their adventures with their members. While I haven’t started my own patreon page, I’ve thought about it. It’s kind of what I do already with my Support Eternal Expat page – it just allows people to pay in small installments instead of a one-off fee. If living in Europe is on your radar, maybe you’ll want to make some money being an Au Pair. Nobody explains the process better than Ashley over on Ashley Abroad. It allows you to live for free, enjoy meals, learn a new language and live fully immersed in a new culture. Of course, you’ll also be able to earn a bit of dough to take with you afterward. Know your way around a boat? Love that show Below Deck (it’s so bad it’s good, isn’t it?)? You can do exactly that, traveling the world by boat helping as a crew member. Two great websites to look for jobs are Desperate Sailors and Crew Network. I must admit, it has always been something that has interested me. I love the idea of living on a boat, sailing the world. Alas, I have terrible sea legs and even worse seasickness. I’d be the worst crew member EVER. These are just a few ways to make money while you travel. What ways have you earned money while you’re traveling? Let me know in the comments! That’s awesome! I’m so glad it was helpful, Em! Loving these ideas because many offline ones are new to me. I’ve about 10 online income streams now. Selling 124 eBooks on Amazon, 2 eBooks on Selz, audio books on iTunes and Amazon and Audible, paperbacks on Amazon and Create Space, blog coaching, freelance writing, paid guest posting, I sell 3 courses through Teachable, Selz and Send Owl, sponsored posts, paid tweets, affiliate marketing, paid links and brewing a few other ideas. Also have a pension building from my former security guard job. Signing off from Doha, Qatar.